Secure Messaging using the Direct Protocol is an important method for the safe and secure exchange of health information. The ability to send authenticated, encrypted health information to known, trusted recipients gives providers, payers, and patients the ability to send and receive health information as part of care coordination, patient engagement, and other interactions that improve health outcomes and efficiency. 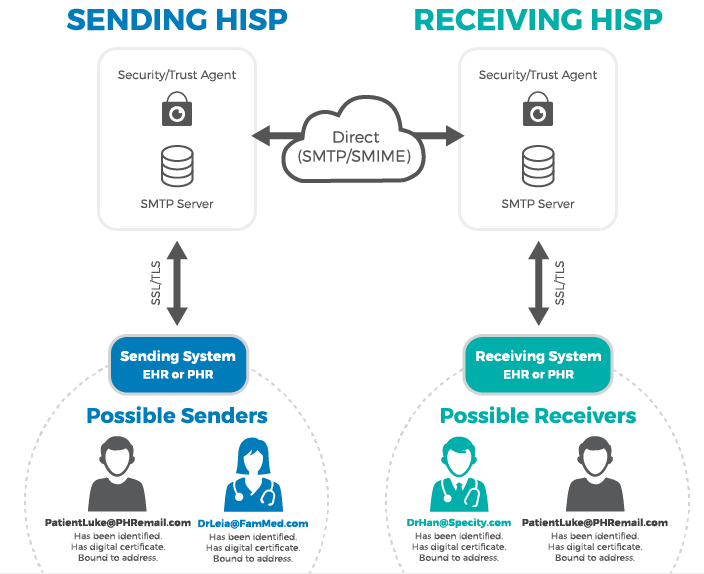 Direct Secure Messaging provides a secure, scalable, and standards-based method for the exchange fo all Protected Health Information (PHI). MedicaSoft is a an accredited DirectTrust member and participates in the DirectTrust bundle, maintaining interoperability with dozens of secure messaging systems.